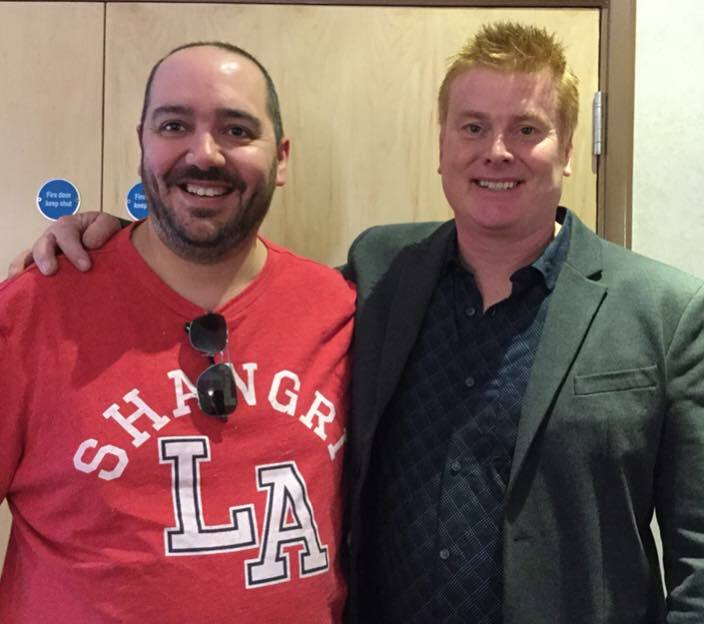 On the weekend of 26th and 27th September, Philip Morris was amongst the guests at the Pandorica convention in Bristol. This is the man who found and returned nine previously missing episodes from the stories Enemy of the World and The Web of Fear, part of the Patrick Troughton era, just ahead of the programme’s 50th anniversary in 2013. But it now appears it should have been ten episodes! One of the things Mr Morris revealed over the convention weekend was that despite what was said at the time of the return, that episode three of Web had not been on the shelf with the other episodes, it actually was there when he discovered the lost gems. Web 3 went missing while he was negotiating for the return of all the episodes to the UK, taken by the manager of the TV station in the city of Jos, Nigeria, where they were found. The manager later denied knowing anything about “missing episodes”, a phrase that had not previously been used in his presence. It appears that Philip Morris shared his discovery with a handful of people he trusted, one of whom alerted someone else who seems to have got in touch with the manager at Jos, leading him to take one of the film cans and investigate further. It also seems that he passed on the can. It was said at the convention panel that the episode was now in private hands and could be in Australia and that inquiries about it were ongoing. 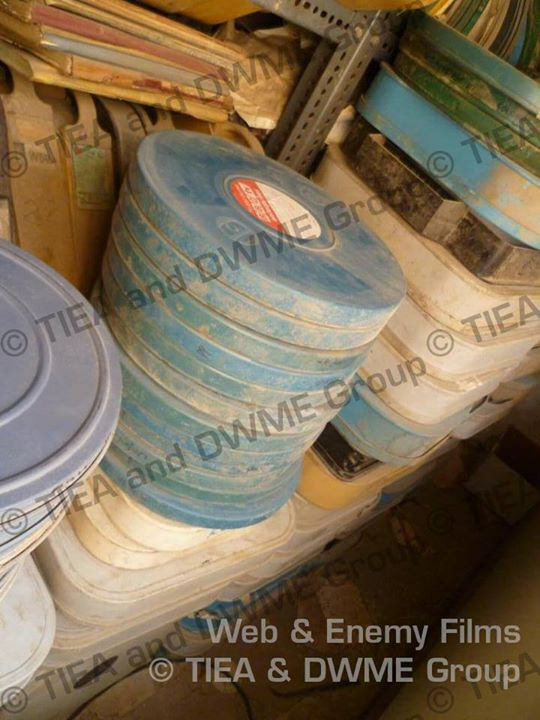 “On the second anniversary of the release of the newly-recovered and restored “Enemy Of The World” and “Web Of Fear”, Philip Morris, Executive Director of TIEA has authorized us (The Doctor Who Missing Episodes Group on Facebook) to release this photograph of the twelve film cans which he originally discovered in Jos, Nigeria. “This photo was taken immediately after Phil had discovered the film cans and verified that the film reels inside matched what was on the labels. There were some other interesting items discussed in the two panels attended by Philip Morris. 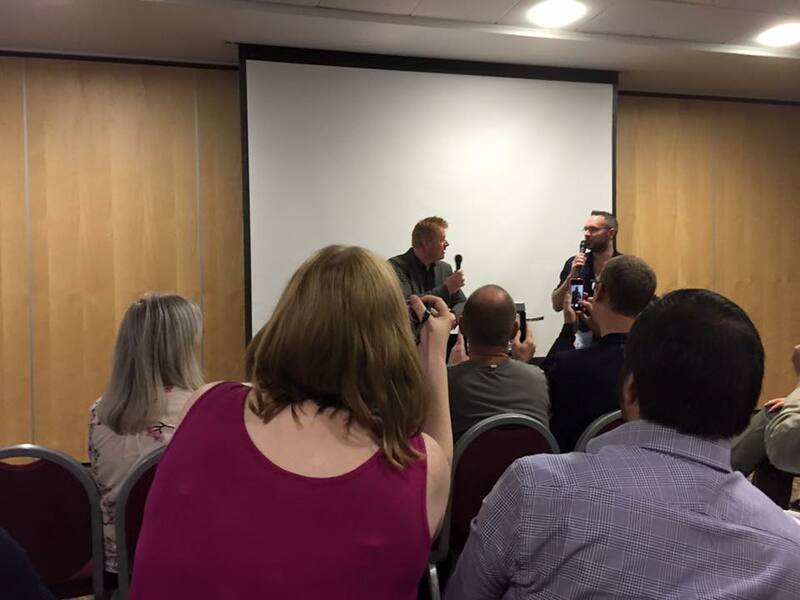 He told the audience that he had been to every country that had officially bought Doctor Who in the 1960s and 70s, and was now following up information on audition prints. These were episodes sent out to countries that were not currently buying the series, as a ‘taster’ of what was available to them. It is known that a couple of episodes of Marco Polo were sent to Iran, and four episodes of The Reign of Terror were found by Paul Vanezis in Cyprus in the 1980s, a country that never bought that serial. And the first time he found a film can marked as an “audition print” was an episode of The Goodies, though he did not say where this was. He also confirmed that any finds and returns would be dealt with through BBC Worldwide and that BBC Cardiff and the New Series team were not involved on any level. Back catalogue stuff is not part of the Cardiff remit, they just concentrate on the production of new adventures for the Doctor. Also discussed was the omni-rumour, which was ‘a load of nonsense’ and that the return of all 97 currently missing episodes was ‘unlikely’. Though interestingly he did say he was ‘pretty sure’ that The Feast of Steven, the seventh episode of the epic Dalek Master Plan and the one episode never sold abroad, was copied to film. It has always been thought this episode was never copied. On the subject of damaged prints he repeated something he originally said on the message board of the Facebook group last year, that the only time he has ever found a Doctor Who print with advanced damage beyond saving was a monochrome copy of episode two of The Ambassadors of Death, thankfully not something that is missing. This totally scotches a recent rumour doing the forum rounds that while lots of missing episodes were found, many were suffering with vinegar syndrome. Philip Morris was once contacted by a private individual wanting to buy any and all episodes of Doctor Who he had found to that point, which he flatly refused. He does not get paid by the BBC for what he finds, funding comes from contract work done by TIEA. When asked about social media he said that the work was more important than what anybody says on a twitter account, though he did highlight that some libellous comments were ‘in the process’ of being investigated. It was also stated that for everything someone makes up, he has to answer for it! The search is still going on, but will not last forever. He loves surprising people and has some surprises in store, which everybody will learn about in time. Feedback from fans is positive on the whole and he repeated a favourite phrase, ‘believe it when you see it’. 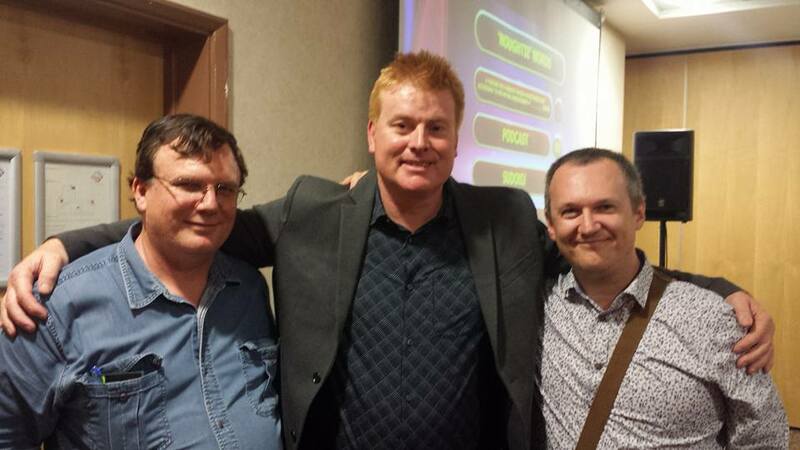 The Philip Morris panels were very well received on the weekend and audio recordings have made it onto the forums now, along with transcripts, which have been well received by many. STOP PRESS – Full statement on Web 3 by Philip Morris himself, as sent to the DWME Group this evening. Hi Guys, the picture you see is one I took after checking the 12 Doctor Who film cans in Jos in 2011. All film leaders were checked to ensure cans matched their contents, this is a practice we follow in fine detail with due care shown. All programmes held at this station were physically checked by myself and my own team. No undue attention was drawn to the Doctor Who prints by myself or any of my staff, however I instructed one of my trusted team to ensure the Doctor Who prints were hidden until authorisation for retrieval could be obtained. However two prints, one QQ3 Web of Fear 3 and another spare print were taken from one of my guys by a guy at the station who took the two prints to his office. This was reported to me within hours. I was not unduly concerned I knew their location. I have to admit I was really excited and told somebody I thought would not leak any sensitive information – big big mistake. Within 4/5 days the station had been named online. Fortunately by this time our job was done, however what of Web 3? I physically searched Jos again, asked the guy who took the films where they were. Initially he denied all knowledge until I produced the picture-he just looked at the floor and said he put them back on the shelf. I didn’t believe a word, and took the pictures and with one of my colleagues and went straight to the top of the NTA, however the guy simply denied it. That is until earlier this year when I returned to Nigeria. I met the same guy again so I asked him directly – he just laughed and said “I don’t know anything about missing episodes”. I firmly believe this episode is in the hands of a fan and we will trace it. I hope this goes some way to explain why I must maintain a certain level of security around TIEA and its work.